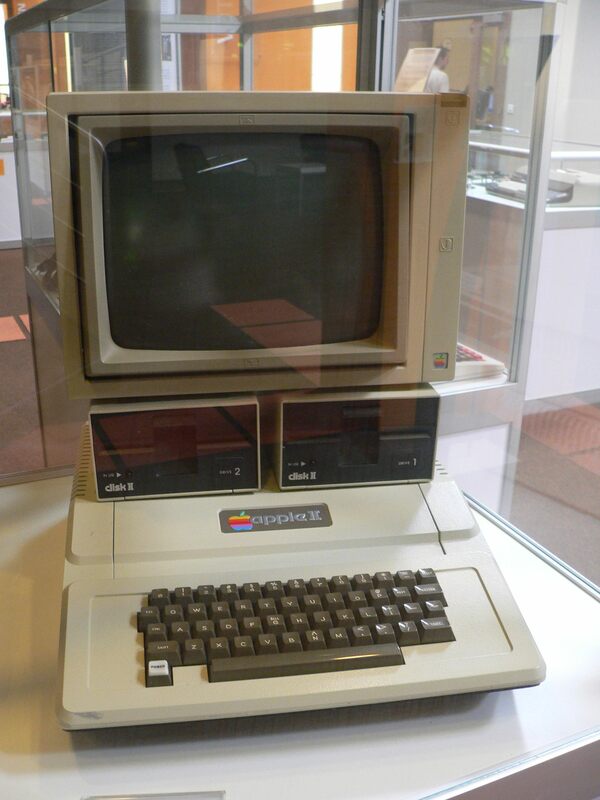 The Apple II was the first really successful mass produced microcomputer. 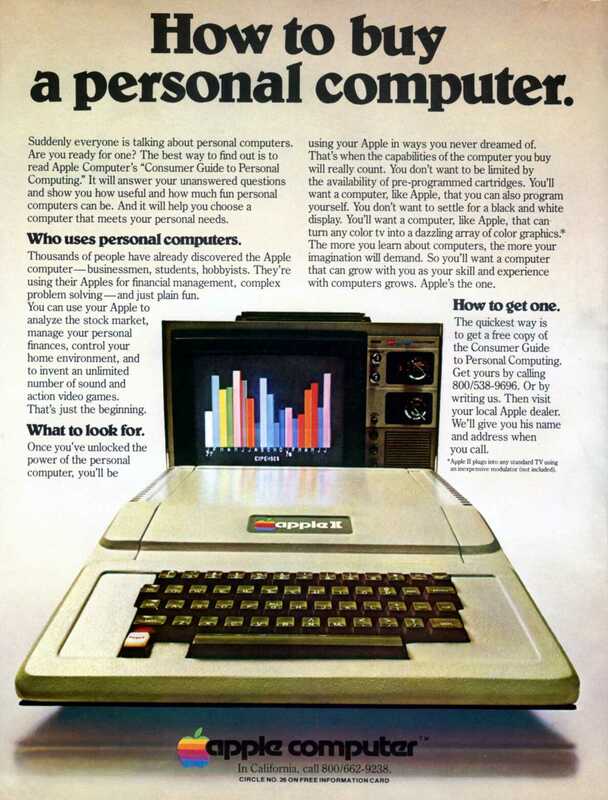 Introduced in 1977, (the ad below is from 1979) this machine was a major technological advancement over its predecessor. By the end of it’s production in 1993 there were about five to six million produced and sold. Anyone that grew up in the 80’s or 90’s may recognize this machine from their education as it was the standard computer in American education. The Apple II didn’t really have an operating system as we know them. It had a built-in BASIC interpreter contained in ROM. Any games or educational software came on 5¼-inch floppy disks that booted directly on the hardware. This computer was able to run DOS (an Apple specific flavor) and CP/M (which is an old school operating system). The original Apple II could hold a whopping 48 kilobytes of RAM although it only came with 4. It ran at 1 MHz and had an audio cassette interface for loading programs and storing data. The video controller displayed 24 lines by 40 columns of monochrome, upper-case-only text on the screen, with NTSC composite video output suitable for display on a TV monitor, or on a regular TV set by way of a separate RF modulator. The original retail price of the computer was US$1298 (with 4 kB of RAM) and US$2638 (with the maximum 48 kB of RAM). An external 5¼-inch floppy disk drive, the Disk II, attached via a controller card that plugged into one of the computer’s expansion slots (usually slot 6), was used for data storage and retrieval to replace cassettes. Information and second picture came from Wikipedia.